Do You Know What Toner Is Made Of? If you check out our previous post on Toner vs Ink, you will know the basic differences between the two. But what exactly is toner made of anyway? In the old days, toner was only made of carbon powder. 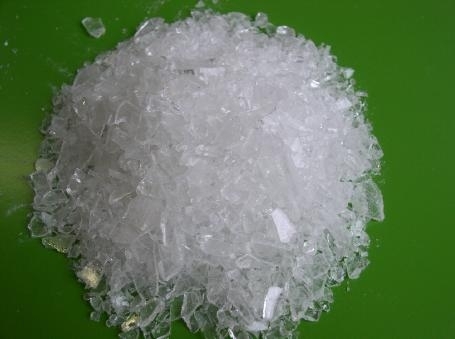 But now, different polymers have been added with the carbon powder to help increase the quality of printing, specifically polymers called styrene acrylates and other various styrene copolymers coated with polyester resin (resin is an organic molecule that plants secrete). This is what polyester resin looks like up close. 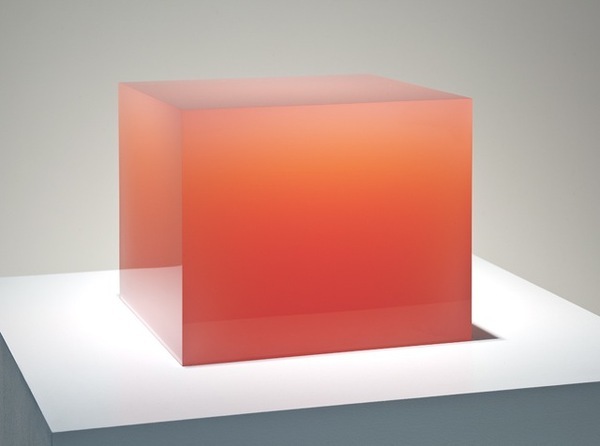 This is another example of Polyester Resin Art. What does toner powder consist of? Toner is not actually just one powder; it is made up of a different combination of powders put together in a very specific and precise way that allows it to be used in a laser printing process! 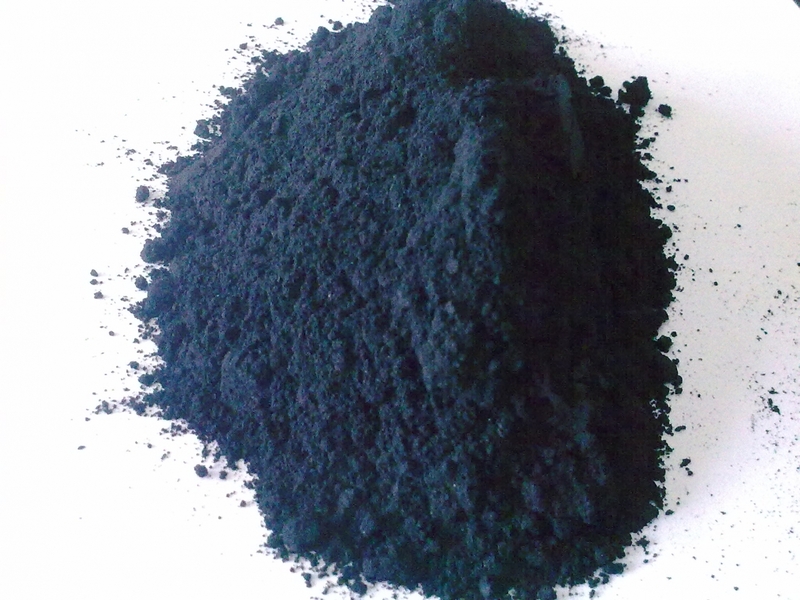 Iron oxide powders are able to create either positive or negative magnetic charges to become the needed opposite charge of the other toner powder particles during the printing process. It acts as a carrier so that the toner particles stick to the right parts on the rotating drum of the laser printer when printing. Heat sensitive plastic powders are melted during the laser printing process. This allows the toner to adhere to the paper and print the image needed. 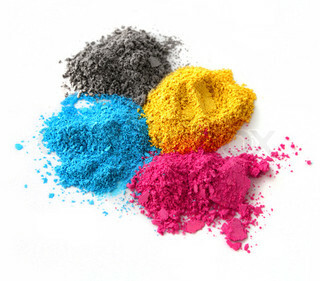 Pigment powders give the toner its colors, such as cyan, magenta, yellow, and black. Toner powder… such pretty colors! Groundup sand, wax, or silica hold the combination of the big three together in the toner. Wax is melted during the printing process to distribute the toner powder on the paper (similar to what the plastic does) while silica is sometimes added to the toner to stop the powder from clumping up together when it is packed in the toner cartridge. Although they’re combined, these individual powder particles are very tiny, ranging from 5 to 15 microns (that’s a millionth of a meter! ), which is around the size of your blood cell. 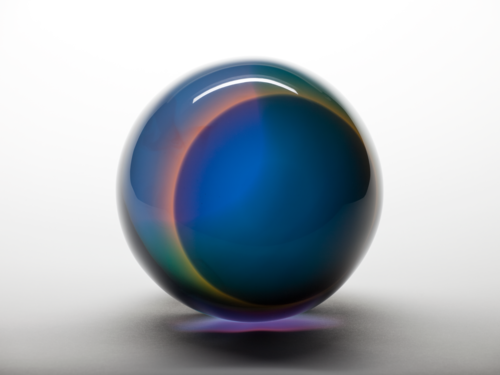 Even so, there are researchers working on creating even smaller toner particles. That is because the smaller the particle, the higher the quality of the printed image will be. Once again, this is just a hint as to a reason why your prints at CatPrint are so beautiful. If you are not ready to print an entire order, receive an instant quote from us and a free hard copy proof just to see the amazing quality of what your prints will look like. Before I had not enough knowledge about how toner is made of but after reading this post and seeing your special photos I have gathered more ideas about toner and ink. Now I clear about what you want to tell in this post. This is very useful information.